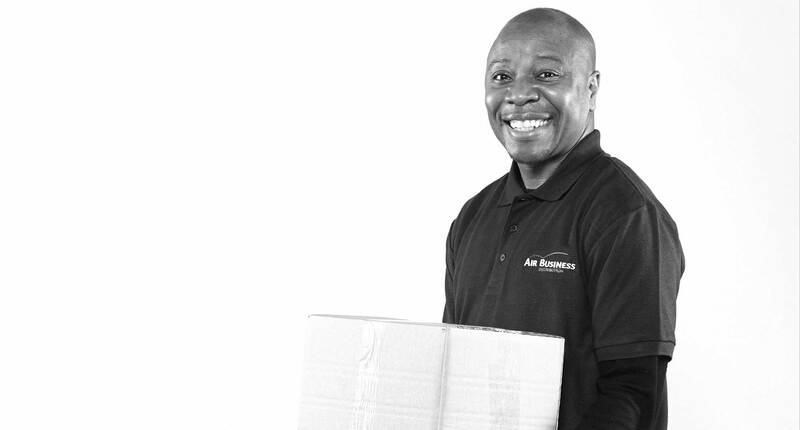 Market leaders in distribution and subscription services for the publishing sector; Air Business and Quadrant deliver over 300 million items each year and manage 3.5 million subscribers. They are owned by An Post (The Irish Post Office) and with an enviable client list, including Bauer media and The New Scientist, they are renowned for their reliability, exceptional customer service and human approach. 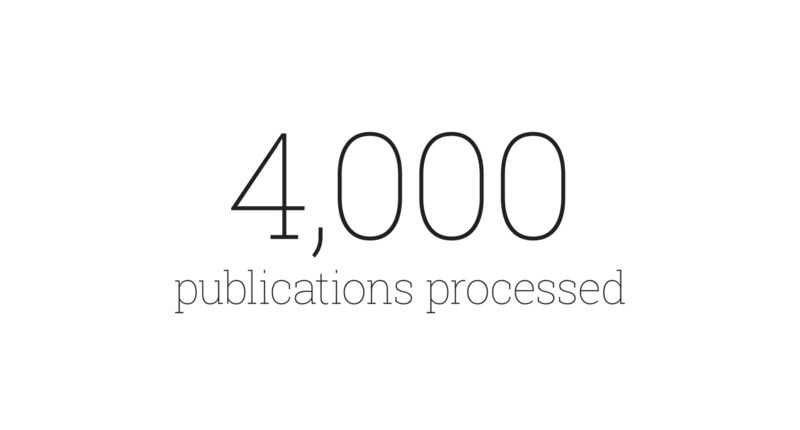 The publishing sector is changing. 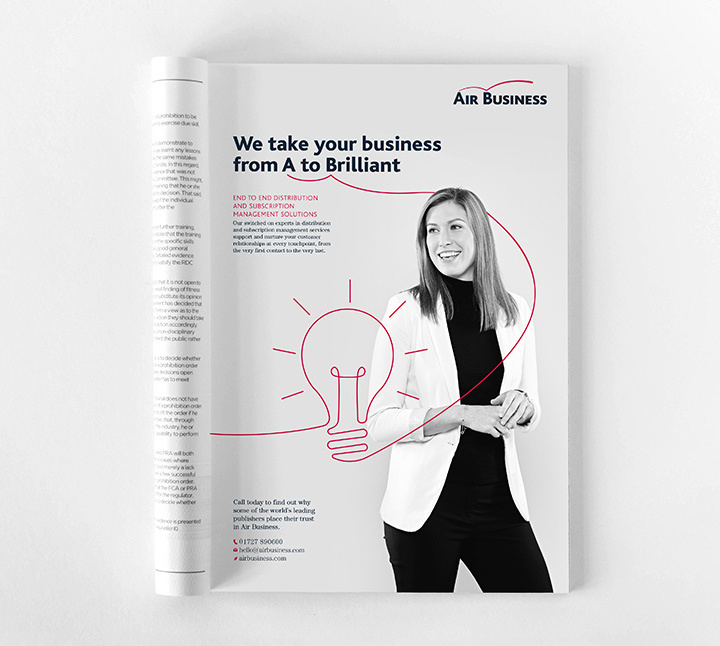 With the decline of print and increase in digital subscription based publications, Air Business needed to ensure their proposition stays relevant and widens its appeal to new markets. As part of a bigger strategic plan, their subscriptions offer, previously branded as Quadrant, will be merged into the Air Business group brand. 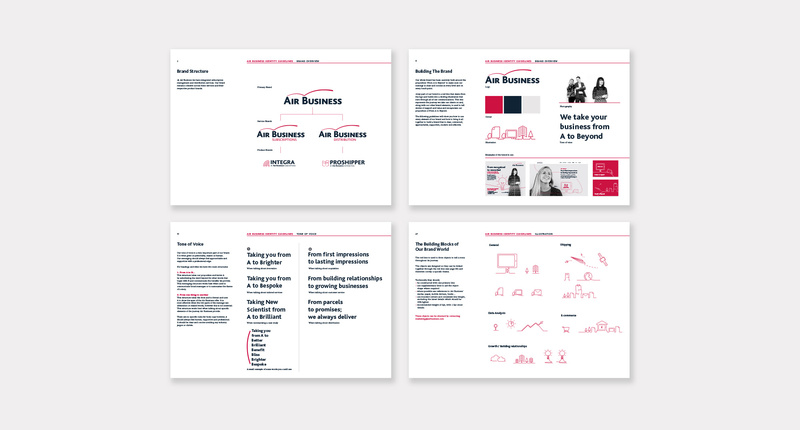 The Allotment’s challenge was to create a brand and proposition for a more integrated Air Business that would position them for growth in a changing market. 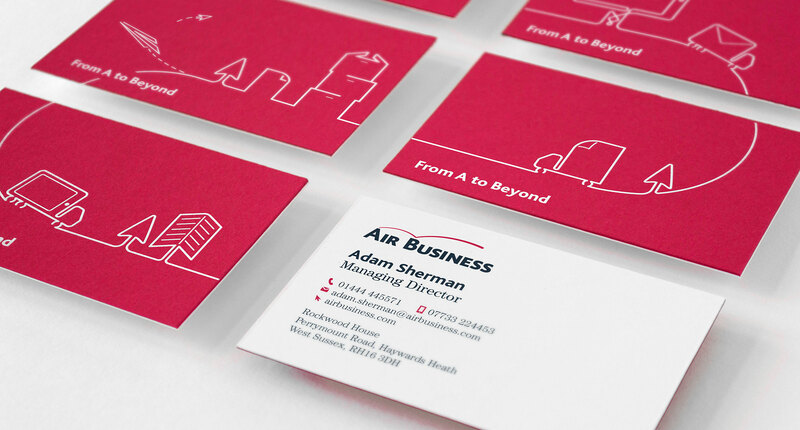 Whilst sectors may evolve and client needs may change, the added value that Air Business offer will always be desirable. 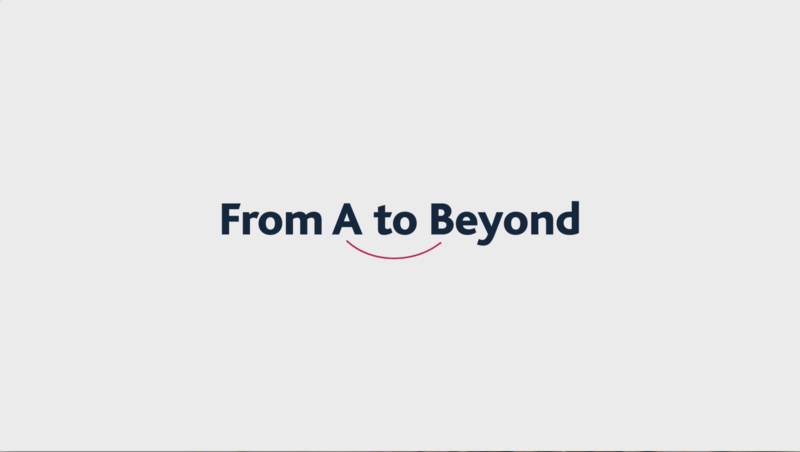 They don’t just take things from A to B – they use their exceptional customer service and support to take clients on a journey spanning acquisition and retention right through to data analysis, physical and digital delivery and beyond. 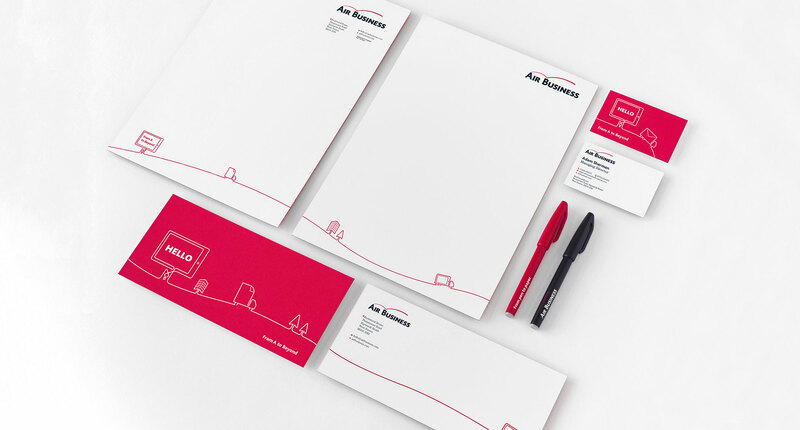 It was this insight that led us to the big idea and brand proposition; From A to Beyond. 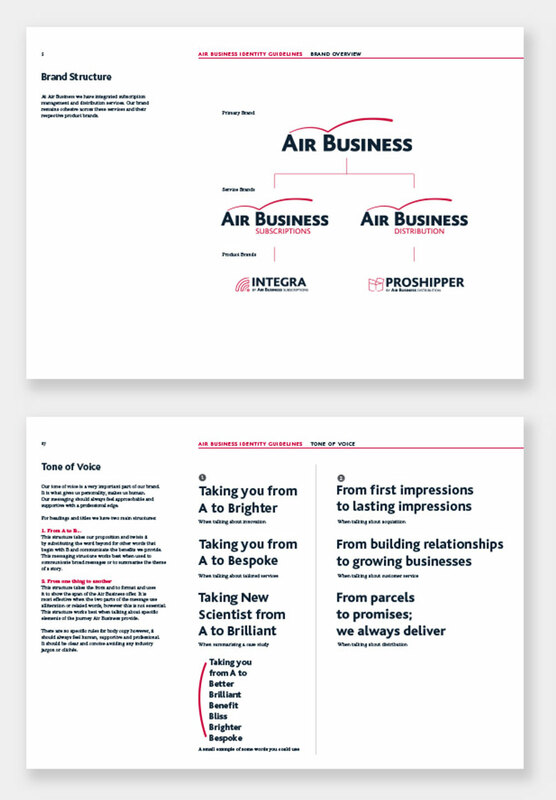 This clever twist on language familiar to the sector perfectly sums up Air Business’ above and beyond mentality and illustrates the added value they provide through their brilliant customer service and human relationships. 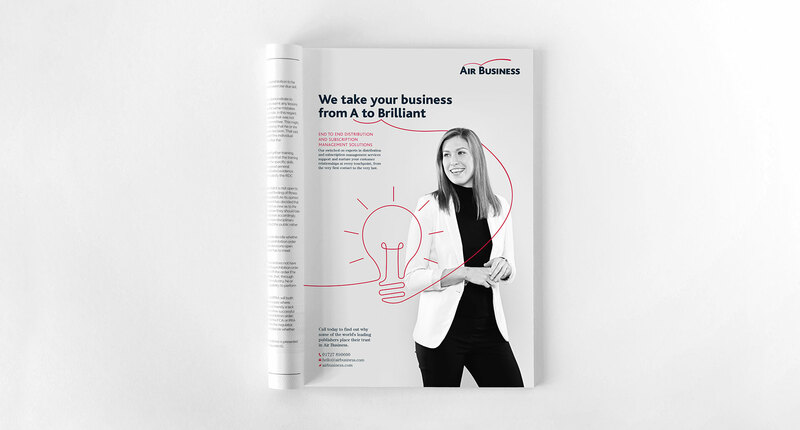 This new proposition was bought to life across all brand touch points, including their website, using a red flowing line which runs throughout the whole brand interacting with very human photography and clever branded messaging to tell compelling stories of success. 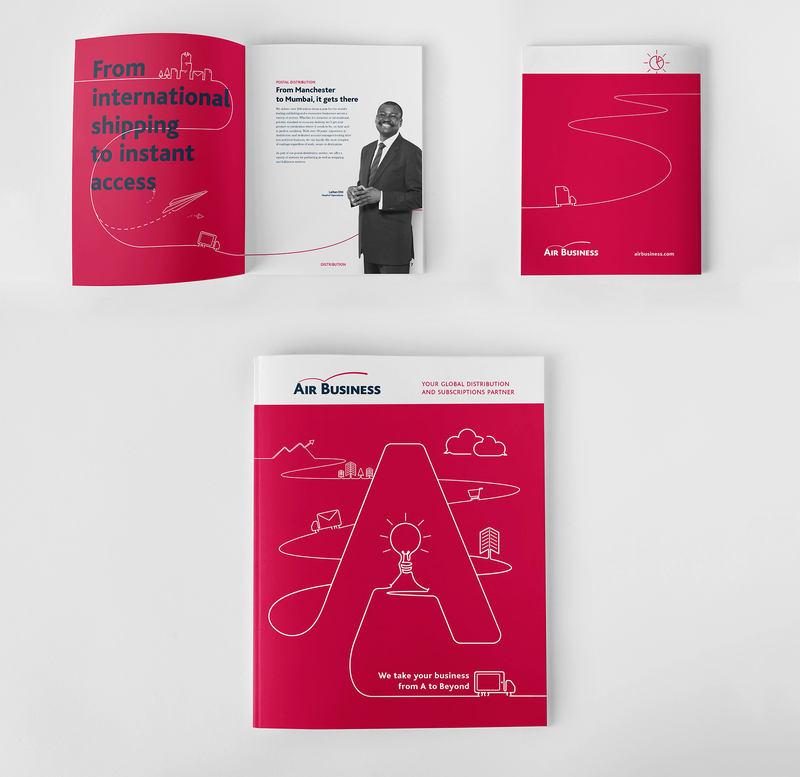 Air Business and their subsidiary, Quadrant are the UK market leaders in distribution and subscription services within the publishing sector. Known for their exceptional customer service and human approach they have an enviable client list including Time Inc., Informa and The Guardian. However, with the decline in print and increase in digital publications, their sector is changing. 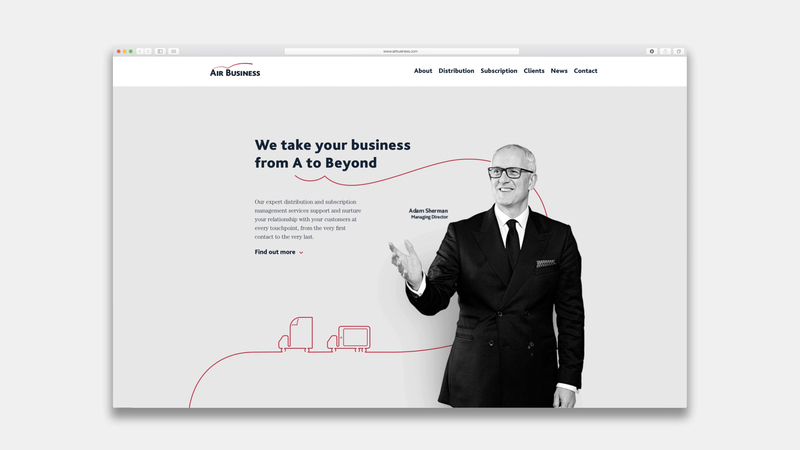 Here’s how we helped Air Business become one coherent business and reposition themselves for future growth in an evolving market.